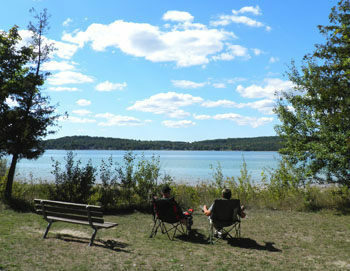 Young State Park surrounds Horse Point at the east end of beautiful Lake Charlevoix, also known at one time as Pine Lake, Long Lake and a place frequently fished by a youthful Ernest Hemingway. The author's family owned a summer cottage on nearby Walloon Lake, but Hemingway occasionally spent his days on Lake Charlevoix, where he liked to fish for trout in Horton Creek. 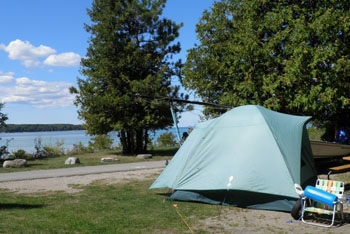 The park is a 563-acre unit in Charlevoix County and a mix of wooded lowlands, cedar swamps and 1.5 miles of lakeshore. The wooded area is covered in hardwoods, aspen and balsam firis and traversed by a 5.5-mile trail system that is level and easy to follow. Despite the extensive cedar swamps, the trails provide dry footing most of the year, thanks in part to planking across the wettest areas. The paths attract morel mushroom hunters and wildflower enthusiasts in the spring, campers looking to stretch their leg throughout the summer and Nordic skiers in the winter. 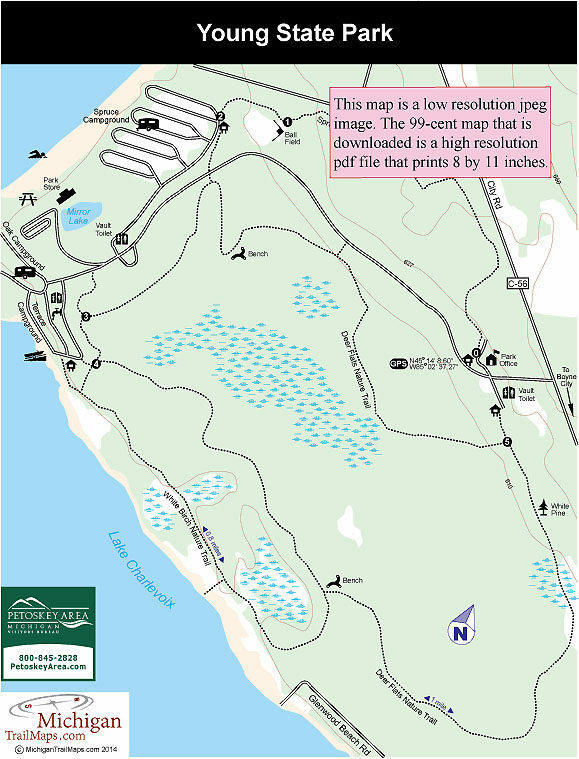 Mountain biking is prohibited on part of the system with most off-road cyclists preferring to ride the excellent bike trails atAvalanche Preserve Recreation Area in nearby Boyne City. All three paths in Young State Park are called nature trails through there is no accompanying interpretive brochures and interpretive signs are limited. The longest path is Deer Flats Nature Trail. The 3-mile loop shares a segment with the popular White Birch Nature Trail, a 1.5-mile loop with a trailhead in Terrace Campground. On the north side of the park is the 1.5-mile Spruce Nature Trail that connects with Deer Flats. 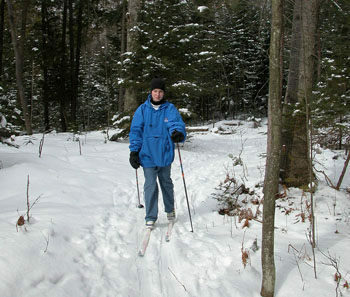 When there is sufficient snow in the winter, Nordic skiing is a popular activity in Young State Park. The ski trailhead is at post No. 0 across the road from the park headquarters and Spruce and Deer Flats are marked for skiers as loops of 3.4 and 4 miles in length.